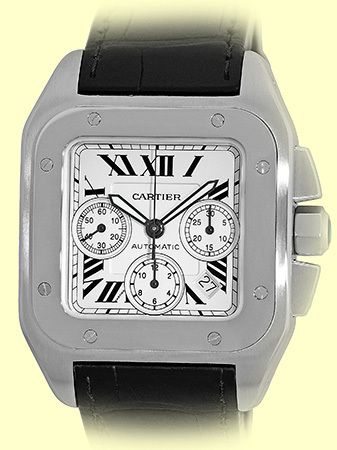 Gent's Stainless Steel Cartier "Santos 100 Chronograph XL" Automatic Chronograph. 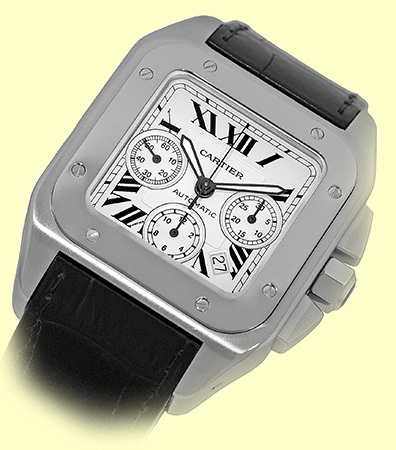 Silvered Dial with Luminescent Hour Hands and Black Roman Numerals, Subsidiary Seconds Hand, Date Indicator. 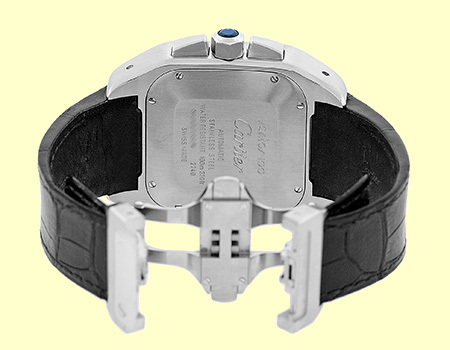 Polished Stainless Steel Smooth Bezel, Center Sweep Chronograph Seconds Hand, Faceted Blue Sapphire on Setting Crown, Sapphire Crystal. 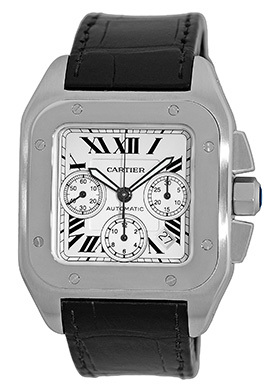 Highest Quality Cartier Black Crocodile Strap with Stainless Steel Cartier Dual-Deployant Clasp. 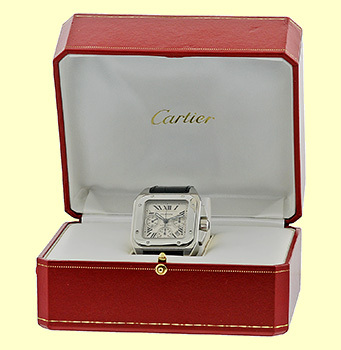 Like New, PERFECT Condition with Cartier Box and complete with Capetown's Lifetime Warranty! !